VermisTerra® brand organic soil amendment are approved by Organic Certifiers for use on certified organic crops. VermisTerra® offers exceedingly pure organic fertilizers for use on crops, flowers and lawns of all types as well as offering to commercial agriculture such as blueberry and olive farms and nurseries. 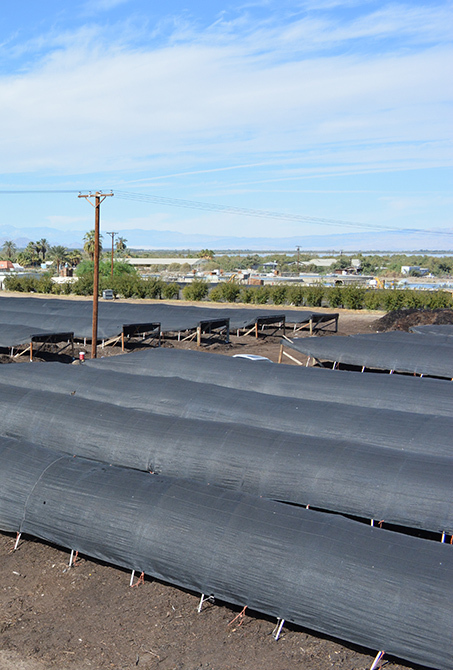 JL Organics, the parent company of the VermisTerra® brand fertilizers, is an organic horticulture and vermicomposting facility with over 10 years of experience in the organic field. JL Organics use only green waste from local recycling programs to produce the highest quality earthworm castings and earthworm casting tea. We have applied our VermisTerra® Earthworm Casting Tea to fruit growing plants such as: orange, grapefruit, grape, pomegrante, almond, blueberries, strawberries and more. We have the expertise, experience and technological know-how to ensure efficient and effective growth that is also friendly to the environment.